Would you like to wake up being a millionaire? Nothing is impossible with Bitcoin investing. The only thing you need is to choose the right crypto. It sounds simple, but such a crucial step requires a lot, namely both being able to predict the future trends and tendencies, as well as to make the right decision in the right moment. There are a lot of people with a huge enthusiasm in their hearts and minds all around the world, but very few with real financial success. After Bitcoin emerged in the world’s economy, the whole system changed and people had unique opportunities to become rich. It turned out that wonders happen and living a digital dream has become real. Playing by the rules and giving time and effort to understand how it works allowed people to be successful. 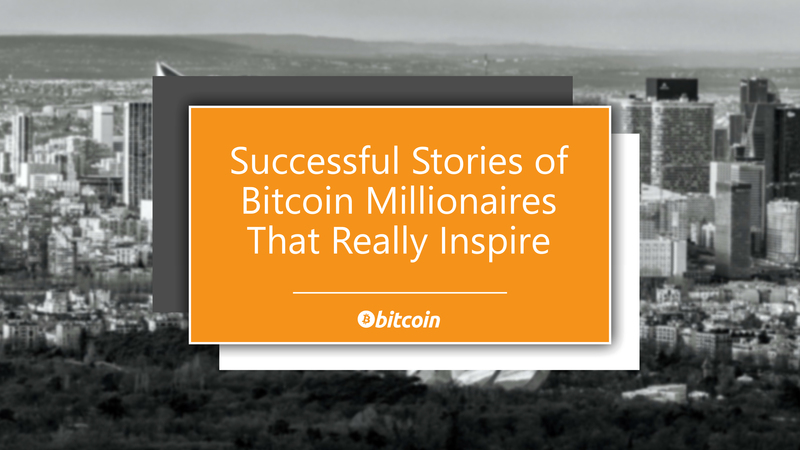 These stories about the wealthiest men from the blockchain world will definitely inspire you to get into buying and mining, and you will never be as skeptical about it as you were before. Let’s find out how a smart investment once has allowed several lucky guys to be in the list of the top 10 crypto millionaires. Cameron and Tyler Winklevoss, called the Winklevoss twins in the crypto world, started dealing with Bitcoin in the beginning of this cryptocurrency development, in 2012. At those times cryptocurrencies were not widely known to the public. Their career began on Facebook, they became famous for accusing Mark Zuckerberg of stealing their idea and suing him for about $65 million. Several quite successful projects were launched by them at the crack of the dawn of the cryptocurrencies development, and it obviously brought great results. Thanks to their smart investment, they had 1 percent of the whole Bitcoin market share in 2013. Back then, their bitcoins cost $11 million USD. In a while, after regulatory approval, the brothers built the New York-based Gemini exchange, where US residents can purchase and sell their digital currencies for cash. The transactions are worth about $300 million every day now. The Winklevoss twins dealt with other cryptocurrencies, too, including Ethereum. They tried to have their bitcoin exchange traded fund (ETF), the first one in the world, approved, but this is still being negotiated. Today they are worth approximately $1 billion each. Being one of the most influential cryptocurrency professionals, Barry Silbert appeared on the crypto scene quite early, in 2012. He believed in the future market, and placed money in Bitcoin at a time when its price was low. He saw some prospects in Ethereum, too. These hopes came true, in a while the price of Ethereum went up to 90 times higher than its original cost. The secret of his success was investing in markets with vague trends. Eventually, this smart move brought him a striking reward. Silbert became the Chief Executive Officer and founder of the Digital Currency Group (DCG). His company is known for building and supporting Bitcoin-related and blockchain-based companies. It works on enhancing the evolvement of the global financial system. DCG owns such companies as Genesis and Grayscale, both focused on cryptocurrencies. Besides that, Silbert started the Bitcoin Investment Trust and an exchange-traded fund, which keeps an eye on bitcoin price movements. Erik Finman became a millionaire at only 18. The story starts in 2011, when he was 12 years old and went through ambitions to prove to his parents that it was possible to make a successful investment. The deal was about being able not to go to college. He purchased about $1,000 worth of Bitcoin while the price was $12 per BTC, and also some other crypto assets, including Ethereum. That money was not his own, technically; the person who sponsored Erik’s success was his granny. In 2013 the BTC price jumped over 1000 USD, and he sold some of his cryptos to earn something around $100,000. there are few viable and successful Ether-based projects. However, in 2018 he said some quite contrary things, claiming that BTC will not live long. Anyway, last year Erik Finman reported possessing 401 BTC. Nowadays, he works with NASA, but does not stop dealing with the cryptocurrencies. The real crypto revolution is yet to come, he says. Tony Gallippi has announced ambitious plans to have 1 million partners. His company has been in the list of the leading BTC payment processors since 2013. Back then, Tony was the first cryptocurrency expert to speak in front of US senators and tell them about the then-novel technology. Nowadays, BitPay processes transactions worth $1 million daily, while Tony’s own worth is about 20,000,000 USD. Charlie Shrem began his career in Manhattan as a co-owner of a famous gastropub. This restaurant, EVR, accepted BTC, so Charlie was involved in crypto business from the very beginning of his professional life. He was very young, and managed to buy some bitcoins while they were available for an insignificant amount of money, something about 3-4 dollars per coin. It was a matter of time for the price to go up.When he was 22, after going through ups and downs on the crypto market, he founded the company BitInstant together with his friend Gareth Nelson. BitInstant gave its users the opportunity to make transactions at more than 700,000 locations. The transactions were faster because of the temporary credit provided. Today, BitInstant is used as an exchange platform. Shrem’s way to success was not really smooth. In December 2014 he was proved to be guilty in money laundering on The Silk Road online black market. He was imprisoned for about a year and lost a part of his assets. Nevertheless, investing in Bitcoin brought him $45 million dollars. How did a famous rapper 50 Cent appear on the list of the richest Bitcoin millionaires? His story is quite simple. In 2014, he thought that it would be a good idea if his fans could pay with bitcoins for his album named “Animal Ambition.” Such a thing happened for the first time then. About 700 bitcoins he raised from sales were worth about $660 for a coin, and he got about $460,000 for the album. Forgotten in 2014, the Bitcoin assets surprisingly turned out to cost more than $7 million some years later. Now, with the significant BTC dipping lately, the value of 50 Cent’s tokens shrank too, however, it is still more than $2 million dollars. In one of his Instagram posts he noted that it was one of the best decisions he made, and he was proud to have done that accidently. Billionaire Michael Novogratz started to make investments in 2015. At the present day, he claims that 30% of his internet assets are in Bitcoin and Ethereum, and that he’s managed to make $250 million from cryptocurrency in 2016-2017. For 2 years (2007 and 2008) he was on the list of billionaires named by Forbes magazine. He worked for Goldman Sachs, Fortress Investment Group LLC, Federal Reserve Bank of New York, and many other funds and companies, many of which were non-profit organizations and charities. Novogratz is known for being a highly professional specialist in Bitcoin performance, assuming whether it moves up or down. Despite the fact his latest prediction did not come true — he said that by the end of the 2018 BTC would hit the ceiling of 40,000 USD — I think he is one of the most experienced and successful crypto investors ever. Currently, he is at the head of the Galaxy Investment Partners, a company that deals with crypto funds. Ian Balina’s start was at the point of $100,000, then he managed to reach the maximum of about $6 million of personal wealth. Interestingly, he had a strategy to buy a number of cryptocurrencies that appeared on the market instead of just dealing with Bitcoin. Balina was quite open to the public on social media. He posted screenshots and ranking charts from his Blockfolio app so that everybody could see the productivity of his investment strategies. With the help of the rating system he developed by himself, his followers could track online why he devoted his time and money to a particular project. Ian Balina is known by his activity on Twitter. He travels, meets his followers, and gives consultations on trends in the crypto market. Jered Kenna, a former marine, was passionate about his beliefs in Bitcoin and got the first BTC package for the price of $0.2 per coin. In a while he was lucky and managed to sell each one for $258. Although there is not much information for the public access about the exact volume of his wealth, as this guy values privacy, they say he owns around $30 million now. Jered Kenna has started an anonymous platform to mine BTCD (BitcoinDark), Tradehill. There is really little information available about this Bitcoin successor. Among his businesses there is a craft brewery in Colombia. He has bought a building in San Francisco to make an incubator and a workspace for entrepreneurs from it. By the way, this millionaire could be much wealthier if only he would not have formatted his hard disk with BTC there. For the first time, Jeremy Gardner read about Bitcoin in 2013, when he was in his early twenties. The details of the Silk Road operations interested him, and inspired him to believe in the potential of cryptocurrencies. So, he decided to buy a few to see what happened. In a year after that, with his two friends (Jack Peterson and Joey Krug), he co-founded a decentralized betting market Augur. That was the first Ethereum-based ICO (Initial Coin Offering). I hope that this chart of successful stories inspired you to take the first step. As we all know, any long road starts with the first little step. In our case, it means buying some crypto coins for the start. New opportunities in cryptocurrency business arise every day and in huge variety. It may seem that making large profits from an accidental investment is hardly possible, yet the market changes fast. Oftentimes, the trend changes may open doors to success to those who have enough courage to invest. As we can see from the examples above, there is definitely potential in a lot of blockchains, as Bitcoin millionaires were not born with pockets full of bucks. Yes, it’s worth being realistic, careful, and skeptical. Still, have all those millionaires been like that? Don’t take huge financial risks, learn the rules of the game, and try to predict the currency fluctuations. Do not risk too much, but at the same time — do not wait too long. If you never try, you will never know!